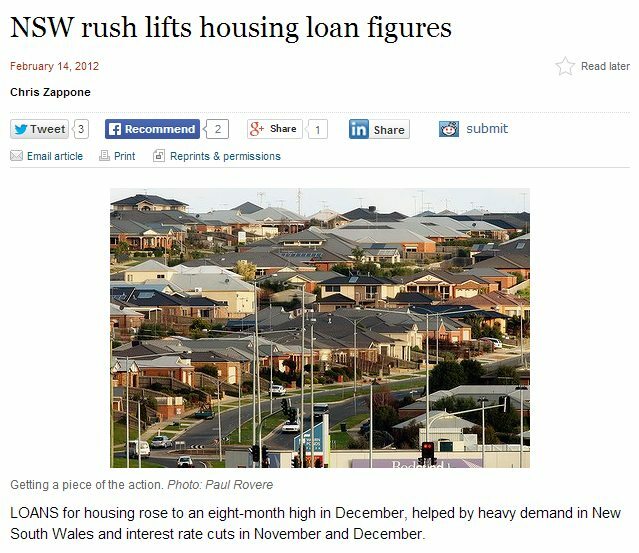 I was checking up on the Age website the other day, and had a sense of deja vu on seeing the stock photo of suburban houses on a hillside. So where did I recognise it from? 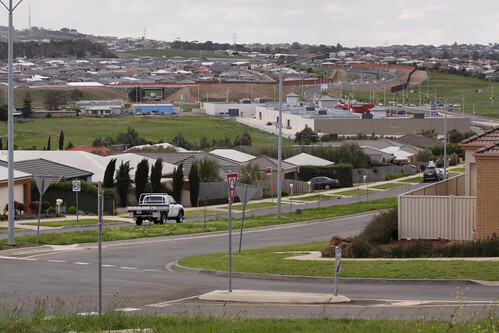 Turns out that hillside was just around the corner from where I grew up, with the street in question being Rossack Drive in the southern Geelong suburb of Waurn Ponds. 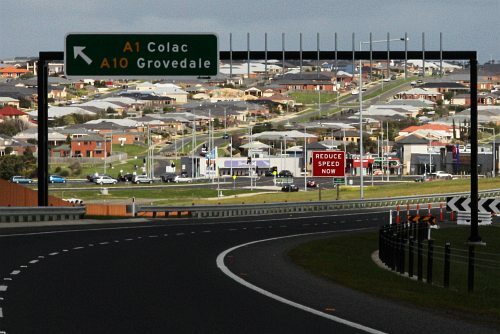 The photo in question was taken from where stage 3 of the Geelong Ring Road once terminated at the Princes Highway, in the days before it was extended up the Anglesea Road hill towards Winchelsea. 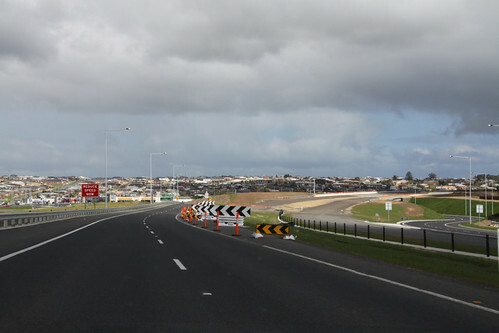 As for the view back from Rossack Drive towards the Geelong Ring Road, the hill on the other side of the valley is also covered with newly built houses. Sometimes stock photos are from a different hemisphere to the article they are published with!